Annette Viselli Thorne, a paralegal who works with Ziff Law Partner Adam Gee, has written the following blog post. She also coordinates the law firm’s Veteran of the Game program. The Ziff Law Firm is mourning the passing of 95-year-old Ned Marrow of Big Flats, a decorated World War II veteran who died recently. Ned was a friend of the law firm who was honored many times by our Veteran of the Game program in the years it was held during Elmira Jackals hockey games at First Arena. Ned, a Navy veteran, survived a torpedo attack aboard the USS Barr in 1944 in the North Atlantic that killed almost 20 of his brave shipmates. He was very proud to have served his country and brought a photo of the USS Barr to Jackals games and could tell, in perfect detail, what happened on that terrible day in 1944. At one of the games in which he was honored, people lined up to meet him, shake his hand, and thank him for his service. He loved meeting new people, so he cherished that day. Ned was one of the sweetest, kindest people I have ever met. I met him as a Veteran of the Game, but we became friends and I made a point to visit with him several times a year. Born in 1923 in Galeton, Pa, Ned worked in railroads for 40 years, including time with New York Central, Penn Central, and finally retired as an engineer with Conrail. He was also a volunteer conductor aboard the Tioga Central Railroad, which named a passenger car for him in 2008 to honor his dedication as a volunteer. On Veterans Day in 2015, Ned and his son-in-law enjoyed an Honor Flight to Washington, D.C., to see the World War II Memorial. 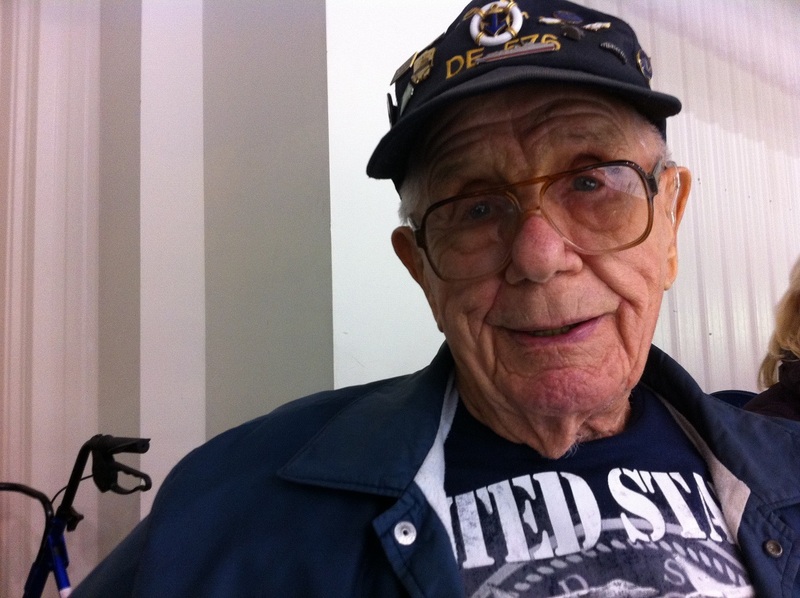 He was active in Navy reunions and stayed in contact with his USS Barr shipmates. I want to thank Christine and Myron Frost, also of Big Flats, Ned’s daughter and son-in-law, who brought Ned to First Arena. Thank you, Christine, for sharing your father with me. I will miss the sparkle in Ned’s eyes that I saw every time we were together. He touched my heart deeply. May he rest in peace, reunited with his beloved wife, Evelyn, who died in 2006. Adam Gee, Jim Reed, and Christina Sonsire. Jim Reed, Adam Gee, and Christina Sonsire of the Ziff Law Firm have been named 2018 Super Lawyers in Upstate New York following a rigorous nomination process. Super Lawyers, a rating service of lawyers working in more than 70 practice areas, selects the top lawyers based on nominations by their peers and an evaluation of 12 indicators of professional recognition and achievements. Those selected are grouped by practice area and size of the law firm. Ziff Law is a personal injury and medical malpractice law firm. Jim, the managing partner of the law firm, was selected for Super Lawyers for the 11th year in a row. 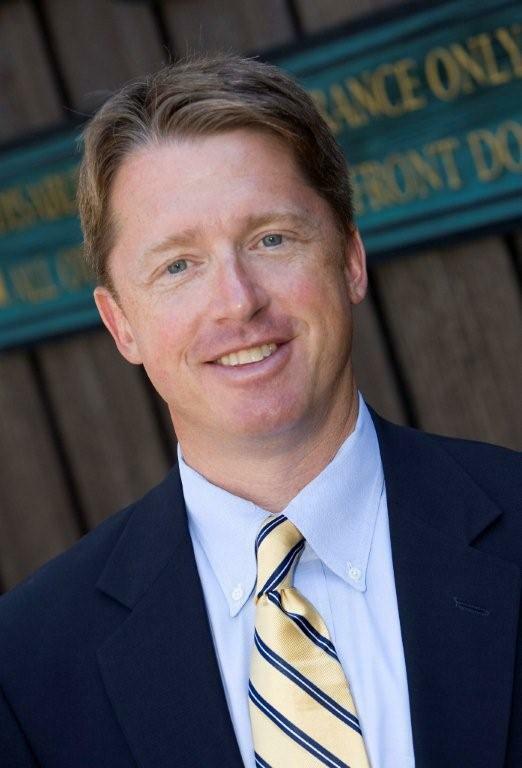 Jim has been with the Ziff Law Firm since 1986 and has been managing partner since 2001. Adam, a partner in the law firm, was selected for Super Lawyers for the seventh time. 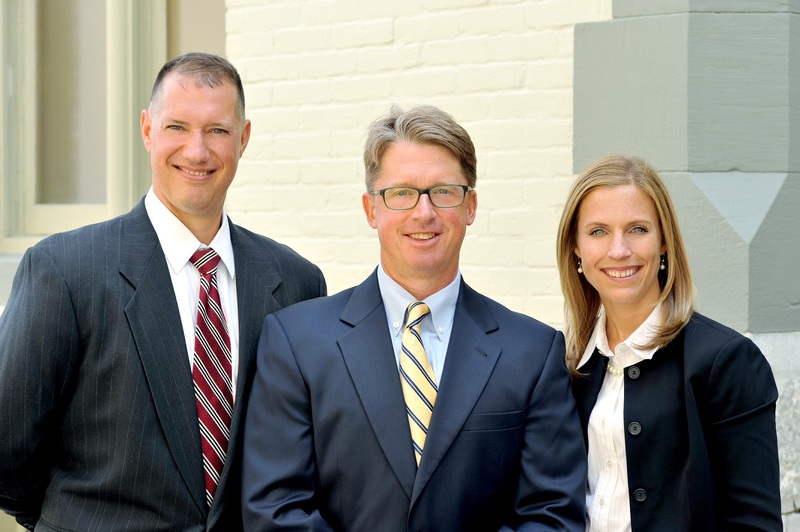 Adam has been with Ziff Law since 2004. Christina, a partner in the law firm, was selected for Super Lawyers for the second time. Christina was selected as a Super Lawyers Rising Star, for outstanding lawyers 40 years old and younger, from 2013-2016. 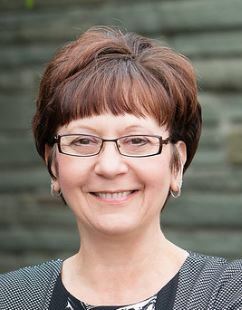 Christina has been with Ziff Law since 2008. To learn more about the Ziff Law Firm, go to www.zifflaw.com. To learn more about Super Lawyers, go to www.superlawyers.com/new-york-upstate. 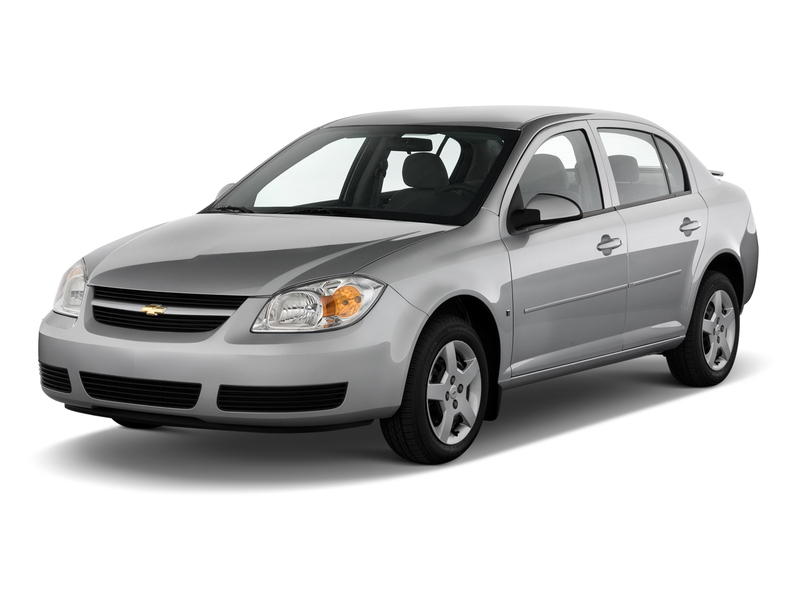 The 2009 Chevrolet Cobalt is among the recalled GM cars. New revelations come out seemingly every day about the botched recall of 2.6 million small GM cars worldwide to replace faulty ignition switches that have led to at least 13 deaths. If you are one of the GM drivers injured because of a faulty ignition, please contact Ziff Law Managing Partner Jim Reed toll-free at 800-943-3529 or send email to [email protected] if you want to discuss bringing a claim. GM made a business decision to put millions of lives at risk to save less than $1 per vehicle that would’ve been recalled. GM dealers were warned nine years ago that the Chevrolet Cobalt could stall because of the switches, but it did not recall the vehicles until February of this year. 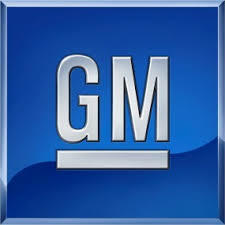 GM chose to send alerts to dealers like service bulletins rather than recalls because they are an inexpensive alternative to recalls. With the ignition switches, the defect can cause the vehicles to turn off while they are being driven, raising numerous safety issues, including failure of air bags to deploy and diminished ability to steer and brake the vehicle. We have written several blog posts about this mess at GM. We urged people to get their recalled car checked immediately. We told the story about the parents of a Georgia woman killed in a 2010 crash in a Cobalt who helped drag this sad and tragic story into the headlines. But this is what you need to know right this minute: If you are driving one of the vehicles listed below. get it to your GM dealer today. Not. tomorrow. Now. Please contact Ziff Law Managing Partner Jim Reed toll-free at 800-943-3529 or send email to [email protected] if you want to discuss bringing a claim. Army Spc. Albert “Joey” Daghita and his wife Brittany will never forget Saturday night. Joey, who just returned from his third tour of duty in Kuwait, surprised Brittany on the ice at First Arena during an Elmira Jackals game as part of the Ziff Law Firm’s very popular Veterans of the Game program. About 3,000 hockey fans cheered for the happy couple and thousands more have seen the news reports about the touching moment when Brittany turns around to find Joey on the ice with her. That moment gave me chills – no pun intended! Joey and Brittany were married last May but have been apart since September, when Joey returned to Kuwait. One of our outstanding paralegals, Annette Viselli Thorne, who makes sure an active-duty military member or veteran is saluted at every Jackals home game in the Veterans of the Game program, coordinated the top-secret reunion. Brittany was told that she would be recognized during Saturday’s Jackals game against the South Carolina Stingrays. She was brought out on the ice between the first and second periods, and as the public address announcer talked about her life as a military wife, Joey snuck up behind her in his camouflage uniform and surprised her. The crowd of 3,000 fans, including about 25 of their relatives and friends, went wild. “Mine was, too,” Brittany, 23, added. Annette had a few tense moments earlier in the day when Joey was delayed getting home from Fort Rucker in Alabama. Joey finally arrived at the Ithaca Tompkins Regional Airport north of Ithaca early Saturday evening and had a state trooper deliver him to First Arena. The original plan, for Brittany to drop the opening puck and get surprised, was moved back one period. But it all went off perfectly once Joey was in the arena. The Ziff Law Firm wishes Brittany and Joey a lifetime of happiness together. They return together to Fort Rucker on March 15. I want to thank Annette, who exemplifies the compassionate, hard-working, community-focused folks with whom I work on a daily basis! Our thanks to Annette and the people at the arena, who pulled off the surprise perfectly! See some great local news reports here and here and here. 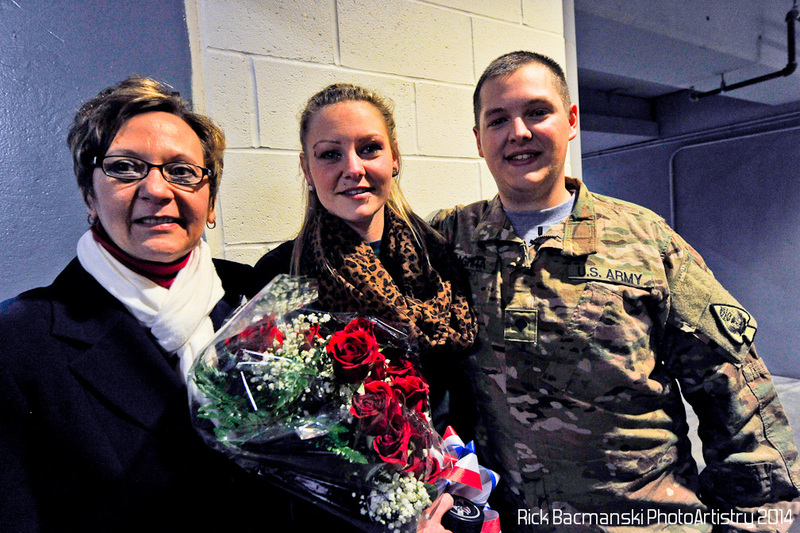 If you know an active-duty military member home on leave, or a veteran to be saluted during a Jackals game, send Annette an email at [email protected] or call her at 607-733-8866. To learn more about the program, click here. Ziff Law’s Annette Viselli Thorne, left, joins Army Spc. Albert “Joey” Daghita and his wife Brittany after the Veterans of the Game surprise Saturday at First Arena. Many people are paralyzed by the thought of medical malpractice. Doctors and nurses — some of the most respected members of our society — are there to help and heal us. They come into our lives when we need assistance, and we place our trust in their judgment and skill. But, what happens when something goes terribly wrong? 1. Ask LOTS of questions. This advice actually applies to all interactions with medical professionals, because the more informed you are about your own health, the more likley it is you will understand the treatment being provided to you. Don’t be afraid to tell a doctor or nurse you don’t understand the technical terms being used. Ask specific questions about your diagnosis and prognosis, and inquire about all alternative treatments that are available to you. Ask your doctor or nurse directly if something went wrong. Although you may not get a straight answer, it never, ever hurts to ask. Knowledge is power, and when you are talking about your health, you want to be the most powerful person in the room. 2. Take LOTS of notes. It is hard to remember everything that happens, especially if you are sick for a long period of time and are under substantial stress. Take notes yourself or have a loved one keep an ongoing diary. If you are in the hospital, write down the names of each and every nurse, aid, doctor and resident who comes into your room with a brief description of what each person did and said. Remember, however, to show discretion. Ultimately your health and recovery are the most important things, and you don’t want to create any unnecessary tension. Some health professionals may become anxious if you are taking notes each time they treat you, and preoccupation with notetaking can distract you from paying close attention to what the doctors and nurses are actually doing and saying. The primary purpose of taking notes is to help you remember what happened down the road, but getting better is certainly a much more important goal. 3. Research. Gone are the days when medical knowledge is held by those with years of training. The internet is full of very good resources about all types of medical conditions. I generally start with an organic google search then look on you tube to see if any videos are posted about the condition I am researching. I have assembled several very useful compendiums on various medical conditions, and you are welcome to contact me at the email address below to see if I have anything that is helpful for you. 4. Request your medical records. You generally want to wait until you have made substantial recovery before requesting your records. To request records, simply call or go to the medical records department at the hospital or office where you were treated and request copies. ALWAYS GIVE A DATE BY WHICH YOU EXPECT TO RECEIVE THEM! Even though most records are kept electronically these days, records offices often wait weeks or even months to provide them. If the date you gave comes and goes and you have not received the records, call or go to the office immediately and request them again. In New York state it costs $0.75/page for each page of records, but providers are not allowed to withhold them solely on the basis of your inability to pay. 5. Call a malpractice attorney. Ultimately this is the best way to find out if you actually have been the victim of malpractice. I screen many, many potential medical malpractice cases each year, and even though Ziff Law only excepts a few due to a variety of reasons, I am usually able to give the potential client a good sense of whether or not has been victimized. The bottom line is that you have a right to know what happened. By taking these steps you may be able to finally get some answers. Two years ago Ziff Law Attorney Jim Reed and I spent several days shadowing Dorothy Clay Sims, an exceptionally bright and fiery attorney from Ocala, Florida. Dorothy and Jim had met through a national Medical Malpractice organization, and she generously invited both of us to come to Ocala, stay in her home, and shadow her to learn her very particular method of building lawsuits and cross examining doctors. Today, I opened by copy of the Elmira Star Gazette and saw a picture of Attorney Sims seated right next to Casey Anthony at counsel’s table! Yes – that Casey Anthony. Turns out Attorney Sims joined the defense team last fall and is expected to use her skills in cross examining doctors to help poke holes in the prosecution’s case and support the theory that Caylee Anthony drowned in her grandparent’s swimming pool. Although Attorney Sims has not had a large role in terms of presenting the case, she has been photographed embracing Casey several times and cross examined Lee Anthony, Casey Anthony’s brother. I can honestly say I have never met anyone quite like Dorothy Clay Sims. She has the energy of five people, and is seemingly always engaged in several different activities — all at the same exact time. When Jim and I were in her office she asked us to observe her take a doctor’s deposition by phone. Although I vowed not to give away her secrets to success, trust me when I say I have never seen anything like it. Her ability to find a way to get the information she needs when she needs it is unparalleled, and she puts the hammer to witnesses with just enough charisma to keep them talking. Dorothy’s book, “Exposing Deceptive Defense Doctors” is a bible for a good deal of the plaintiff’s bar — and a must-read for anyone who handles medical malpractice cases. My copy rests within arms reach, and I find myself consulting with it more than I do with any other source. The trip was well worth the tiem and expense. There is simply no substitute for learning from the best. My husband is a prosecutor at the Chemung County District Attorney’s Office. He has been following the Anthony trial very closely — and was floored when I told him we had stayed at Sims’ house. Looks like her star is truly rising. I am very excited to see what she can do for Casey Anthony. If I were the state’s attorney, I would take notice that Dorothy is on deck. As a New York accident and malpractice lawyer, I deal with tragic situations on a near-daily basis. However, a story I read in the Corning Leader on November 15, 2010 was one of the saddest I have heard in a long time. According to the Leader, 46 year-old Holly Hain of Painted Post, New York was killed when she was struck by a car at approximately 10:15 p.m. Saturday evening on the Curtis-Cooper Road in Steuben County. Hain had been traveling south on the Curtis-Cooper Road when she pulled over to the west shoulder and parked her car to help a calf that was wandering along the road. However, at that moment Leah Jamison, 17, of Campbell, New York was traveling north on Curtis-Cooper Road. Jamison hit Hain and the calf. In addition to being a good samaritan, Hain was a physical education teacher and coach in the Campbell-Savona school district. Just imagine the heartache — Hain taught at Campbell-Savona school and was hit and killed by a young girl who is likely a Campbell-Savona High School senior. As a former athlete at Notre Dame High School in Elmira, New York, and Georgetown University, I understand firsthand how vital a role physical education teachers and coaches play in the lives of their students. My heart truly goes out to Ms. Hain’s students and members of her teams. Perhaps worse is the fact that this tragedy could have been avoided. Junior license restrictions are in place for a reason — to keep young, inexperienced drivers off the road when they are tired and it is dark outside. Leah Jamison chose to ignore those restrictions, and, sadly, is paying a hefty price. Parents — let this terrible situation remind you to enforce junior license restrictions. It’s just not worth the risk to ignore the law. I offer my sincere condolences to the Campbell community on your loss. I want to congratulate my colleague and the Ziff Law Firm’s managing partner, Jim Reed, on a great – and well-deserved honor. Jim was – once again, actually! named to the annual list of New York Super Lawyers by Super Lawyers Magazine. Jim and fellow Ziff Law attorney Carl Hayden were the only injury and malpractice lawyers in the area selected for the 2011 honor. Super Lawyers reaches more than 13 MILLION readers in all 50 states. The magazine stakes its reputation on finding and recommending the finest lawyers across the country. Super Lawyers are chosen by peer recommendation, professional achievement, and independent research. These top lawyers are outstanding achievers in more than 70 practice areas. So Jim is always ready to share his expertise with people. For an attorney who is willing to do that – and is at the top of his game, I think the Super Lawyers recognition is is only just. The annual list of Super Lawyers are named each year, with selections are made on a state-by-state basis. The purpose – to create a reliable and extensive list of outstanding attorneys. The list is a great resource for attorneys and potential clients, for referrals or for finding legal counsel. Visit the Super Lawyers website for complete details on the selection process, and please join me in congratulating Jim on this recognition. Visit the NY Biker Law Blog at www.NYBikerLawBlog.com! The Elmira Star Gazette reported that Steuben County officials identified the driver in a one car crash that occurred at about 5:00 A.M. on Wednesday, June 30, 2010, in Hornellsville. The Steuben County Sheriff’s Office named the driver in the one-car accident that injured nine teens Wednesday morning. Emily S. Mayorga, 18, of Fourth Street in Canisteo was driving the 2004 Chevrolet Cavalier packed with eight other teens when she lost control of the car on a sharp curve about a quarter-mile east of Lain Road on county Route 109, drove into a ditch, hit a concrete culvert, went airborne for about 25 feet and rolled over, deputies said. Six of the teens remain hospitalized today, deputies said. As I reported in an post earlier today, this terrible tragedy highlights a number of issues all parents need to consider. Aside from the obvious concerns about underage drinking and teen drivers, an accident such as this with multiple victims raises several important questions regarding auto imsurance coverage. Please take the time to read my earlier post, and do not hesitate to contact me if you have questions about your own coverage. Many times coverage questions are asked after an accident occurs, and generally that is just too late. 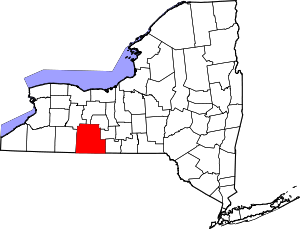 A horrific accident involving nine teenagers occurred at approximately 5:00 A.M. on Wednesday, June 30, 2010, in Steuben County, New York (near Corning). Aside from highlighting the dangers associated with underage drinking and teen drivers, the accident raises several critical insurance coverage issues that every parent should understand. According to the Elmira Star Gazette (full article pasted below, nine teens were injured in a one car accident in the Town of Hornellsville following an underage drinking party. The parents of the nine injured teens are facing — or surely will face — tough questions with respect to how or if their children will be compensated as the teens begin the long road to recovery. 1. BASIC NO-FAULT COVERAGE — New York State Insurance Law requires every driver to provide at least $50,000 of Personal Injury Protection (“PIP”) to each passenger of his vehicle regardless of whether he caused the accident or not. This type of insurance is generally referred to as “No Fault Insurance” because it is triggered even if the driver was not at fault. What does this mean? Every passenger in a vehicle is entitled to $50,000 of PIP coverage under the driver’s insurance policy in the event the passenger is injured in an accident. In general, PIP covers economic losses such as lost wages and medical bills. Why is this important? Here, assuming the driver had proper insurance coverage, all nine teens (the driver is entitled to PIP benefits as well) are likely entitled to receive up to $50,000 to compensate them for their economic loss. In addition, a passenger may be able to collect No Fault PIP benefits under his own policy once PIP iunder teh driver’s policy is exhausted. This is called “stacking” PIP coverage, and it often allows a passenger to receive up to $100,000 to cover economic loss. 2. ADDITIONAL NO-FAULT COVERAGE — Residents of New York are also free to purchase additional No Fault coverage in the event they or members of their families are seriously injured in an accident and their economic losses exceed $50,000. The two primary types of additional coverage are called Additional Personal Injury Protection (“APIP”) and Optional Basic Economic Loss Coverage (“OBEL”). What does this mean? If you or a family member are seriously injured in an accident and your economic loss — again, I am primarily talking about lost wages and medical benefits — exceed the available PIP coverage ($50,000), APIP and OBEL can be triggered to cover your excess expenses. In addition, as a passenger you may be able to collect against the driver’s APIP and/or OBEL coverage, depending on how the policy is written. Why is this important? According to the Star Gazette article, at least three of the teens suffered serious injuries and were helicoptered to Strong Memorial Hospital. A helicopter ride alone generally costs around $2,500, and it is safe to assume the medical bills for these teens could approach $50,000 very quickly. The passengers first need to determine whether the driver had APIP or OBEL coverage. If so, it is possible the passengers could be compensated for additional economic loss under the driver’s policy, depending on how it was written. 3. LIABILITY COVERAGE— In addition to no-fault coverage, New York State Insurance Law requires all drivers to carry at least $25,000/$50,000 liability coverage. What does this mean? It means every driver on the road in New York is required to provide at least $25,000 of coverage to any one injured person for non-economic loss(things like pain and suffering, serious disfigurement and loss of enjoyment of life) because of his negligence. If more than one person is injured, the total maximum recovery is limited to $50,000 regardless of whether two people are hurt or whether 20 people are hurt. If there are more than two people hurt, those people would have to split the $50,000 “pie”.